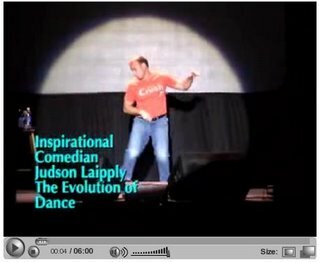 ok I hadta post this cool video of the "evolution of Dance" I just about fell out of my seat when I saw this! It's not just a fun video, but it's also a great motion reference!! This video had me crackin up! Glad you enjoyed Hans! haha!! makes me want to shake my bootay. OMG that brings me back to junior high dances and high school prom. Totally hilarious!